Due to their insecticidal and antibiotic properties, neem tree extracts are quite popular in gardening and agriculture sectors. On one hand, neem extracts are nontoxic to humans, birds, and other beneficial insects. And on the other hand, they enhance soil fertility and protects your plants from many predators. Though they were originated in India, Nowadays, you will find the uses of common neem extracts such as neem oil, neem seed cakes, or neem leaves in various part of this world and not just restricted in India. Uses of neem cakes, as an organic fertilizer is a very well known practice worldwide and especially in India. You can increase soil fertility by adding neem cake to the soil. We have discussed compost in our earlier article. Now it’s time to put some light on Neem fertilizers. 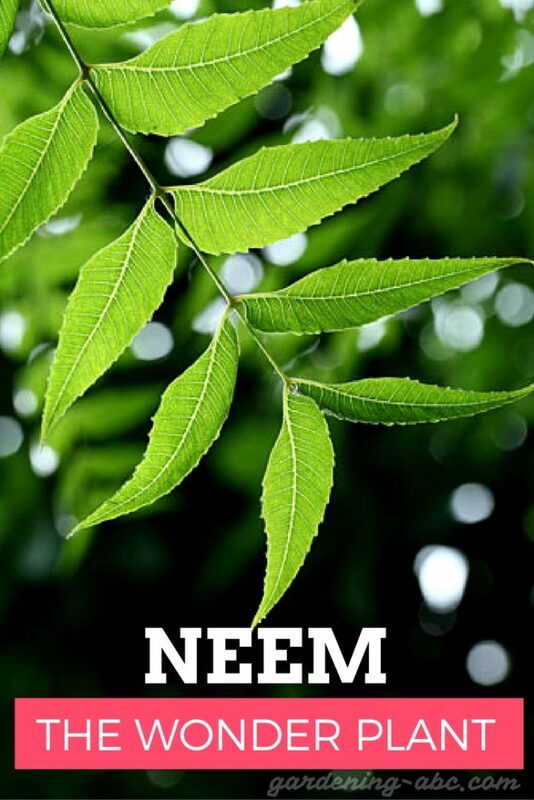 Neem is a stout tree with a rather short stem. They are native to India and other southeastern countries. A Neem tree generally grows up to 12-15 meters. They are best known for their medicinal properties. Neem extracts work as bases for preparing various consumer and industrial products. Neem oil is used as pesticides. Neem oil is an excellent pest-repellent. It also prevents any type of resistance to pests. Chemical pesticides usually work on the nervous system of the pests, and extended uses of these types of pesticides thus result in resistance to pests. Neem, on the other hand, works on the hormonal system of an insect. So it does not lead to any type of resistance. Neem cake is used as a soil enhancer. More on this later in this article. Neem leaves are used as skin remedies due to its antibacterial properties. Neem twigs are a good alternative to the plastic toothbrush. Neem barks and roots are good at controlling fleas and ticks on pets. In India, the neem tree is considered to be an air purifier. They are generally planted in the backyard or beside the house. The uses and benefits of neem tree extracts are endless. But in this article, I will focus on the uses of neem as fertilizer. People collect neem seeds from the trees. The neem seed kernels are then crushed and neem oil is extracted. The de-oiled residue of these seeds is called neem cake. They are high in NPK and also can be used to kill harmful nematodes. Please remember that all nematodes are not harmful to use this strategy wisely. Since very early in India neem are being used as a natural fertilizer. It had become very popular due to its dual impact of soil enhancer as well as pest-repellent. The cakes, as well as neem leaves, are used to fertilize the soil and to improve soil quality. Neem can be great if you are considering decreasing your soil pH. When mixed with soil it produces organic acids. So it reduces the alkalinity of the soil. In India, it is extensively used in cash crops like turmeric, sugarcane, banana etc. In growing flowers and vegetables, neem oil cakes are a good alternative to chemical fertilizers. Neem oil cakes improve the appearances of fruits and vegetables. It also strengthens roots, and grow the foliage. It works very well when mixed with compost or other organic fertilizers. Applying neem with nitrogenous fertilizers can slow down the conversion process. This increases the efficiency of the soil. Neem seed cakes are very useful in controlling nematode population. It also effective against many soil pathogens. Neem seeds and cakes contain nortriterpenoids and isoprenoids, which are nematicidal in nature. Neem oil cakes have many different nutrients (NPK and micronutrients) and produce a better yield than urea. They block soil bacteria from releasing nitrogen gas. Thus it extends the availability of soil nitrates to both short duration and long duration crops. You can also mix neem seed cakes with urea or any other fertilizers (which have nitrogen). It will increase their efficiency by reducing their nitrogen releasing rate. So the fertilizers remain in the soil for much longer. Neem cakes can be found in many forms. Here are some of the most common types. It is an excellent Organic Soil Amendment. It enriches the soil and can be used as other soil conditioners. Neem cakes are organic and natural substances. They are bio-degradable. You can mix them with other fertilizers that are organic. Neem cake is a natural nitrification inhibitor. It increases the availability of nitrogen. They improve the texture of your garden soil. Their organic nature and water holding capacity also help to keep the soil aerated. This is a must for better root development. As neem cakes are sustainable, in the long-term it is very cost efficient. Neem oil cakes can also work as a pest repellant. These dual effects of fertilizing and pest protection can result in amazing yields. Use caution while applying neem cakes in potting mixes. Don’t use more than 1%. It can cause a lack of seed germination or stunt young plants. Botanical insecticides, such as neem are allowed in organic production. But like any other, you should use them only as a last option. Although this is natural, it sometimes may harm some beneficial insects. Hope this article gave you some insights into this great Indian plant and its uses as a soil enhancer. More on neem and its uses in future articles. Do you have any suggestions? Please feel free to post your feedback. Very Good Post, Gives very brief information thank u! Very good article how will I be able to use neem leaves to fertilize my soil. I presently use neem leaves soaked in water with garlic as a repellent against insects in my garden. We have a lot of neem trees in the Caribbean island where I am from but we do very little with these trees. too many thanks for info . I rattling delighted to find this site on bing, just what I was looking for 😀 likewise bookmarked. 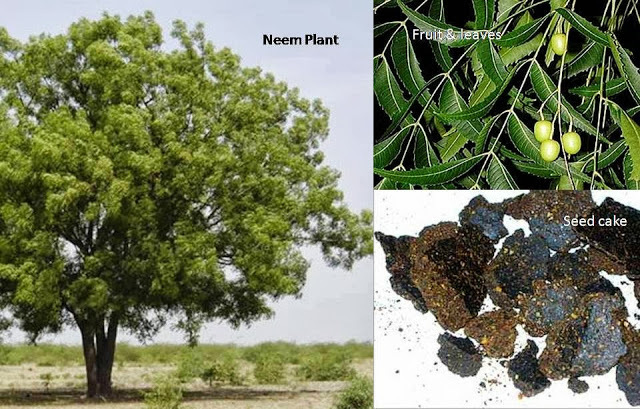 Neem Cake is the best solution for soil improvement , Neem cake if mixed and incorporated in to the soil, will have better results due to its oxidation activities inside the soil .